"When Megan Biddle, 15, stood in her school uniform crying on a maternity ward, people wrongly assumed it was because she was pregnant. She’d actually just been told she needed to have her second ovary removed and that meant she was unlikely to ever be able to have a baby." Gynaecological problems are affecting more and more children in places like the USA and children have died because the doctors haven’t recognised what they had got and the facilities are not there. 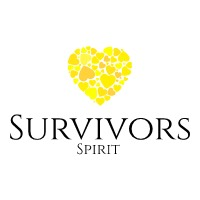 There will be more children who go through what I went through in the UK so I’m starting my own charity called Survivors Spirit to help children with rare conditions like mine. I want to raise money for a children’s gynaecology unit at Heartlands Hospital. It will be a place to go where kids will feel safe and looked after, and someone will say you’ll be OK, rather than being left to think I’m going to die. It will be a place where kids can feel like kids, not kids surrounded by older people, or feeling like they have to grow up just because something’s happened to them. I know I’ve got to raise a lot of money but I’m prepared to do it. If I can raise money and make a difference then it will feel like all the crying and heartbreak will have been worth something.